It’s been a little more than a week, but I’m still struggling with the fact that my daddy is gone. I catch myself picking up the phone to call him on my way home from school or when I have a quick trip out to grab lunch on the go. That’s how it was with us. We talked a few times a week, but neither of us were ones to stay on the phone for very long. Two Wednesdays ago was the last time we talked like that on the phone. I called him before I even left the parking lot at work, and we had the best conversation. I was still talking to him when I reached my garage, and that rarely happens. He was feeling well, and I told him we were thinking of going for a visit the upcoming weekend since it was a holiday weekend. I actually ended up going a day earlier than we had planned because the very next morning, life as this daughter knew it, began to unravel very rapidly. I won’t go into the details because that’s not the purpose of my writing today. No matter how transparent I feel I am with people, I don’t typically allow myself to be vulnerable in front of people. I tend to keep walls up, so to speak, and I keep to myself when going through difficult times. However, today I want to allow myself to be vulnerable and share something with you that’s difficult because I’m not good at showing this kind of emotion, and I struggle with showing these types of imperfections (something I just recently realized my daddy also struggled with). Growing up, I was basically my daddy’s shadow. Whatever he did, wherever he was, I was doing the same thing. If he was working on his tractor, I was in his lap until I fell asleep, and my mom had to come and get me. If he was fixing a 4 wheeler or his tractor and getting dirty and greasy, I was flipping my bicycle upside down and playing with the chain and tires right beside him . . . just so my hands could be black like his. If you were to look up the term “Daddy’s girl”, it would describe me 100%. So this has been extremely hard on me, most especially because of how sudden everything happened. My dad was known for his music. He couldn’t read music and learned to play everything by ear, and he was very good. Although he could play other instruments, piano was what he loved. His trademark song is Floyd Cramer’s Last Date. I remember him playing for hours on end to perfect that song. He wanted it to sound like Floyd Cramer, but he also wanted to add his own touch. I never learned how to play piano, though. I wanted to, but we didn’t have money for lessons, and he didn’t know how to teach me because he didn’t know how to read the music. 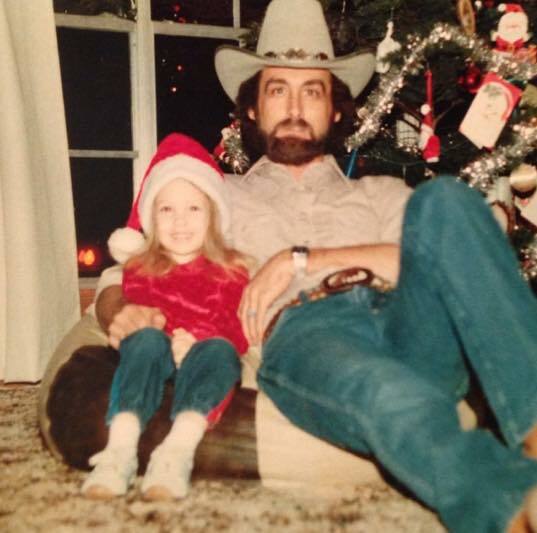 I believe I inherited a little bit of my daddy’s ear, but I certainly can’t hear something and play a song like he does, and I don’t even understand the concept of chords or playing the piano with two hands. Nevertheless, when I got home from the funeral Saturday, I decided I wanted to learn how to play Last Date on the piano, but I only wanted to learn from Daddy and in his style. It was already 1 AM when we got home, but I still had the urge to at least attempt it. I spent about a half hour playing over and over again a video of my daddy playing the song, and I tried to match it on the keyboard he had given to my kids. Without me knowing, my husband recorded me with all my determination and a whole lot of stumbling. I watched the recording of me, and I think for the first time in my life, I didn’t care about the fact that my fingers stumbled all over the place. I didn’t care how many mistakes I was making. Instead, I found myself being so proud of how quickly I was picking it up, and I felt like Daddy would be proud of me, too. He didn’t show emotion much, but I can imagine myself showing him what I had just taught myself, and I can see the pride in his eyes. The thing is, I know that pride wouldn’t just come from the fact that I was learning quickly. His pride would be in the fact that I’m doing something he loves, and I’m doing it to spend time with him. I ended up posting this video on facebook just because. I feel like this may be my “thing” when I’m really missing him – playing something he loves. Below you’ll find the link to my post that night. You don’t have to click it, but I’m sharing because this is a video of the very first time I not only played daddy’s favorite song on the piano, but it’s the first time I played it with my daddy. I only wish I would have done that while he was here, but I can’t get lost in my thoughts of what I should have done. If you look at the first comment in that thread, there’s a link to my daddy playing the song. I’m so thankful he recorded some of his playing so we have it to remember him, and we can pass his memory on to the 13 grand kids and, so far, 3 great grand kids, and all the generations that will follow. 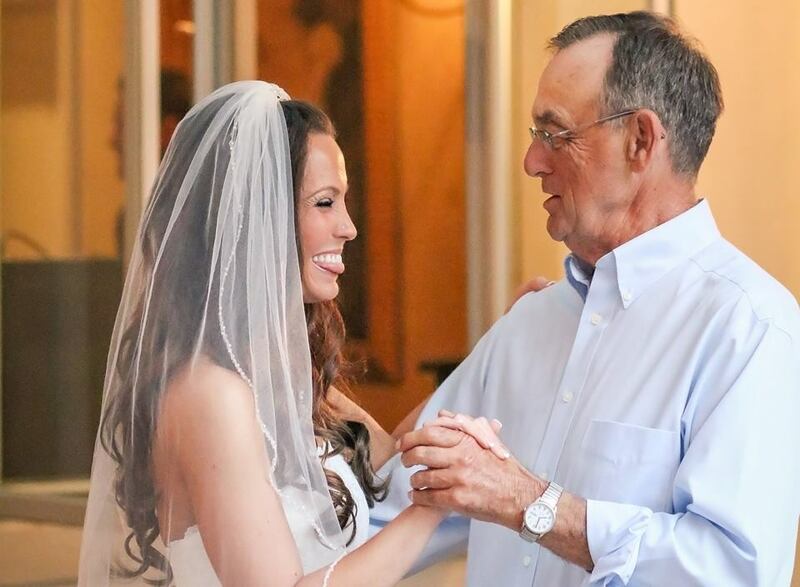 Just a few short months ago, I was able to dance with my daddy for the first and last time. I will cherish that moment forever.